Bula Gugaa (two goanna) on the front panel are circling a special meeting place, they are protecting what must be protected ! 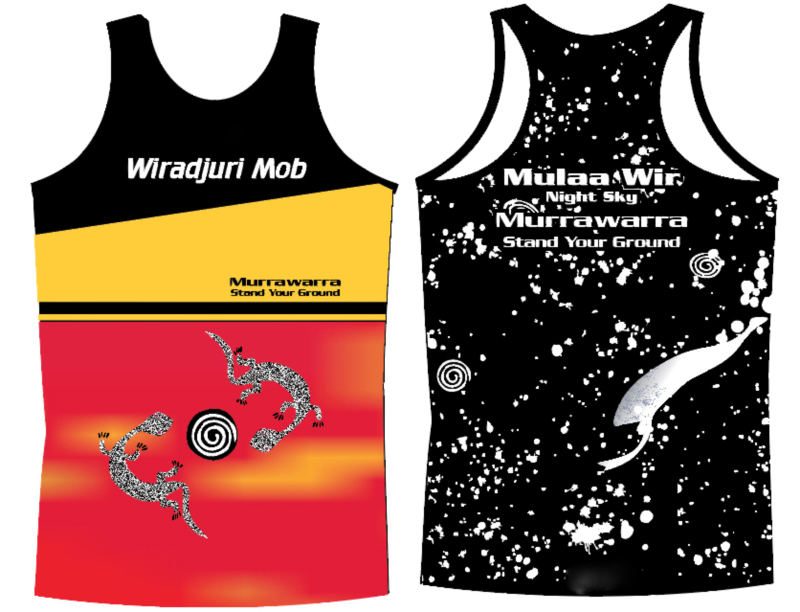 Mulaa Wir (night sky) Murrawarra (stand your ground) on the back panel. 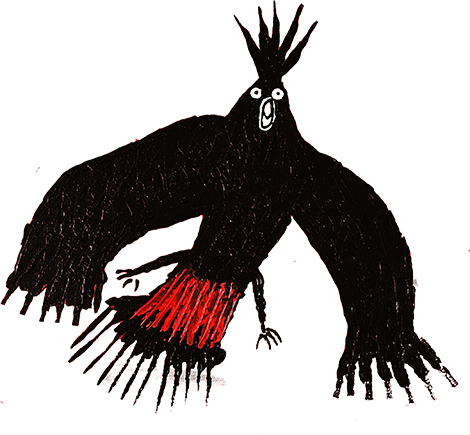 This is my artwork that represents the Dinawan (emu) in the night sky. This Dinawan has been protecting our mulaa wir for beyond time. 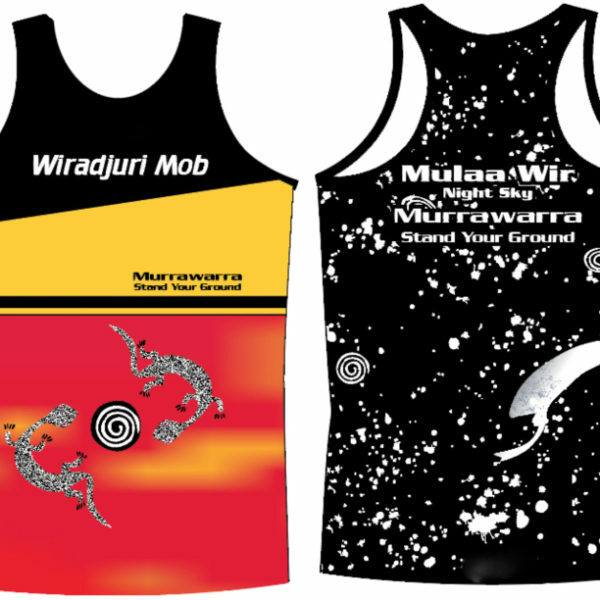 They will be a limited edition as are my original shirts.